The cemetery is approximately 14 kilometres south-west of Bejaia on Route N12 to Algiers, which is approximately 250 kilometres west of Bejaia. 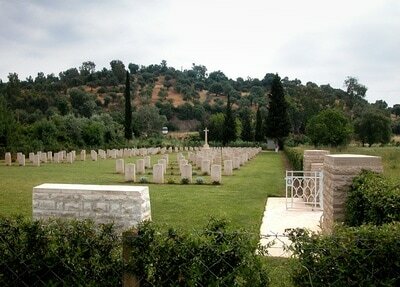 The cemetery gates are not locked so it is possible to visit at all times. The cemetery register and visitors' books are not available however, outside of the gardeners working hours which are Saturday to Wednesday 07.00-12.00 and 13.00-16.00. Allied troops made a series of landings on the Algerian coast in early November 1942. From there, they swept east into Tunisia, where the North African campaign came to an end in May 1943 with the surrender of the Axis forces. 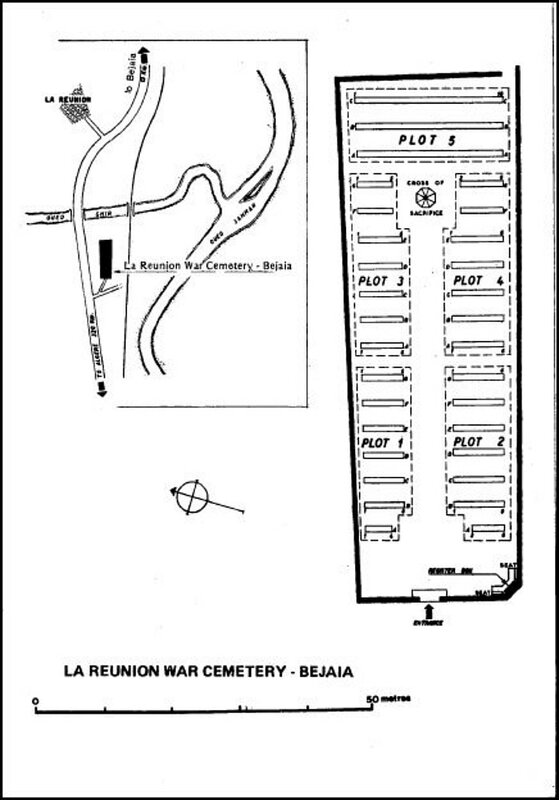 Bejaia (formerly Bougie) was the landing place of the 36th Infantry Brigade Group on 11 November 1942. 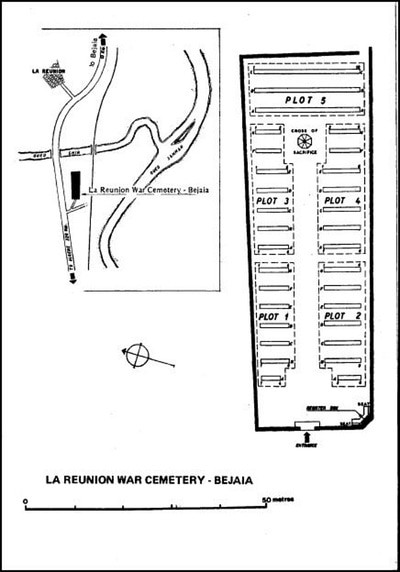 La Reunion War Cemetery contains 211 Commonwealth burials of the Second World War.